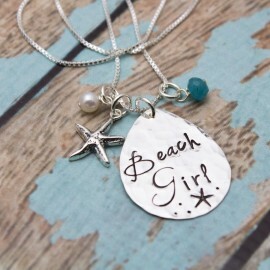 A must for the Jersey Girl! 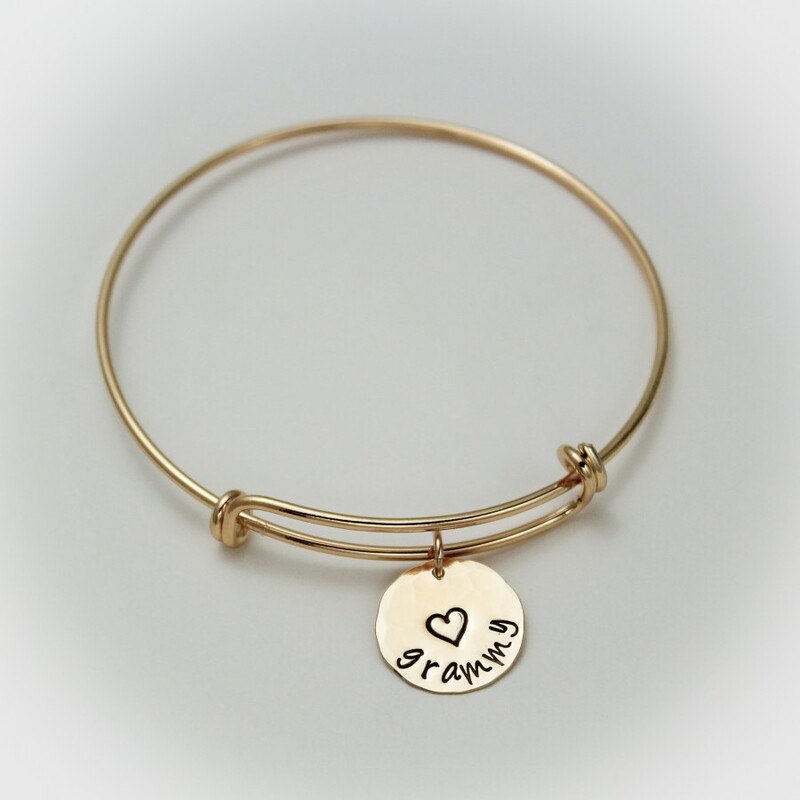 Bangles are the hot item right now! 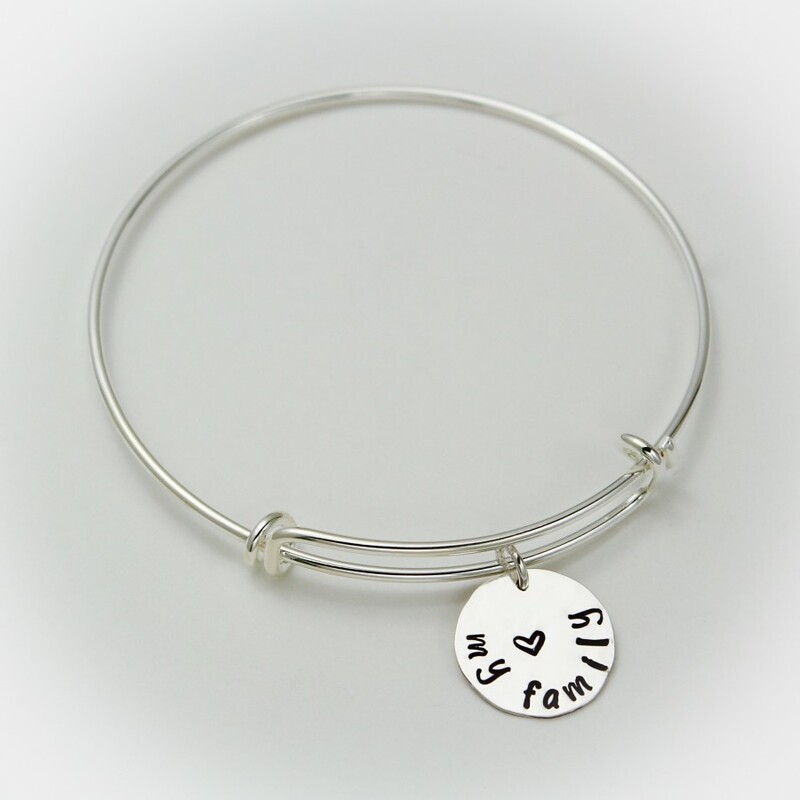 This is the perfect bangle to add to your collection. A single hammered 5/8" disc in your choice of silver, brass or copper, personalized with "jersey girl" or your name on a bangle of your choice of metal. 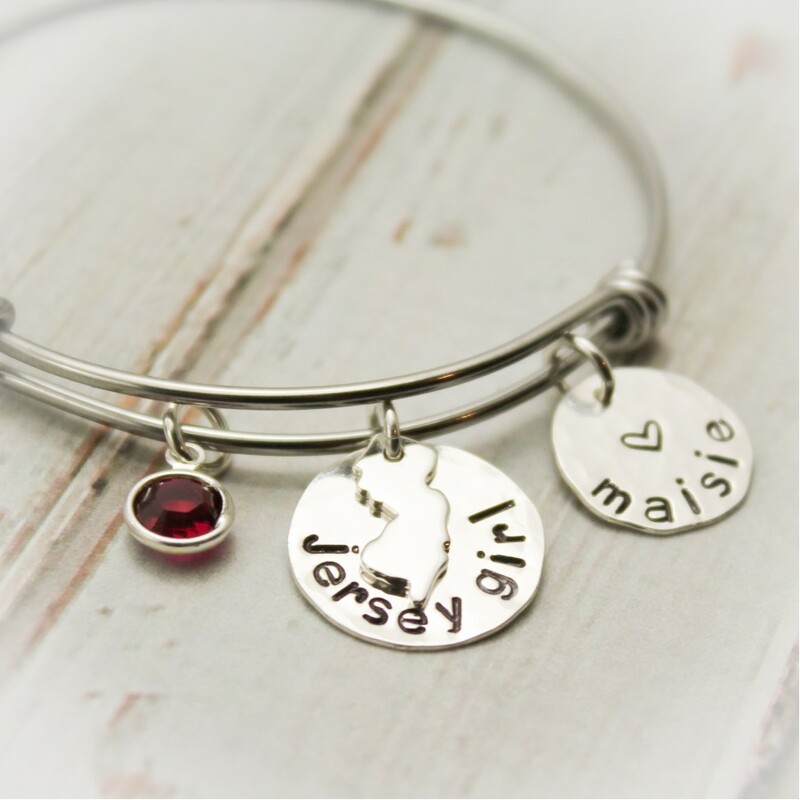 A sterling silver state of New Jersey charm dangle over the top of the disc. 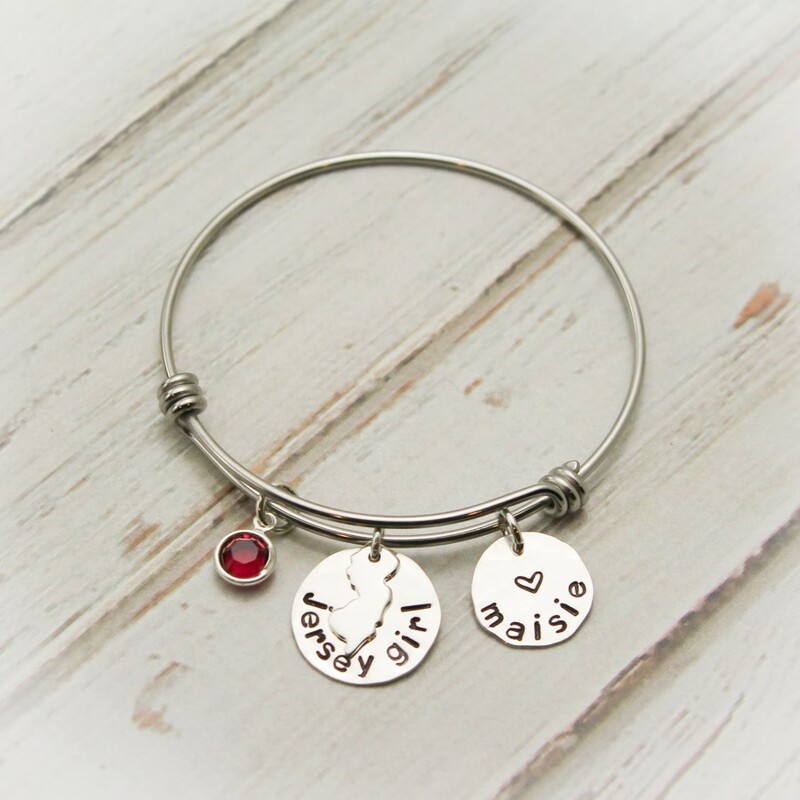 Choose from birthstones, pearls, glass charms, initials or name disc to personalize the bangle. 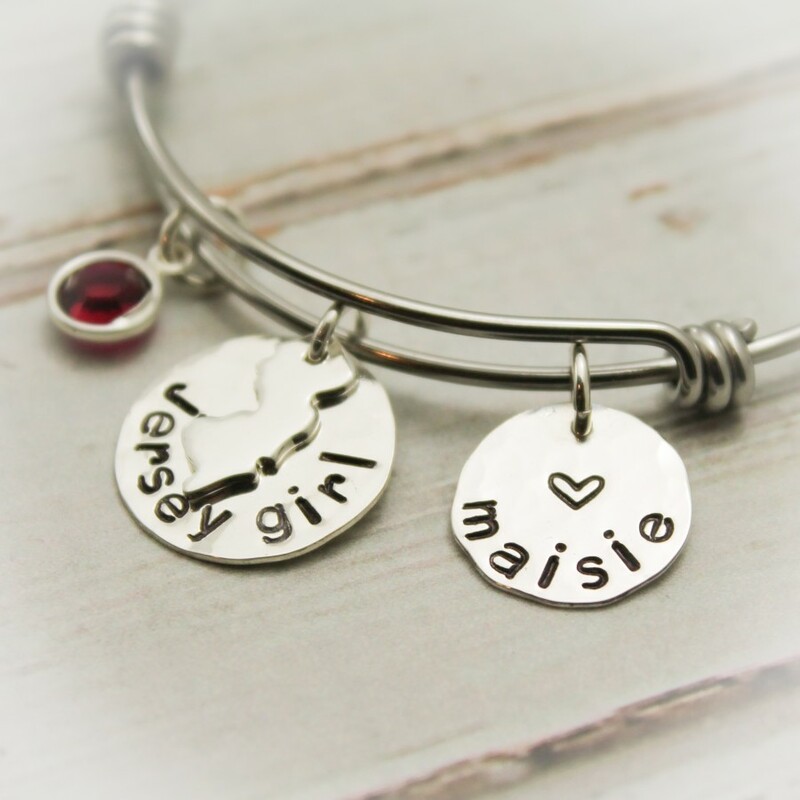 Where do you want all the charms? 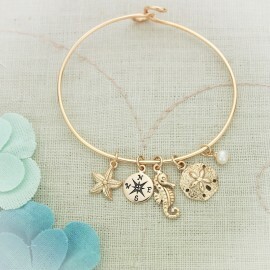 Please describe how you would like the charms arranged on the bracelet. Do you want them all in center section? One in the center section and the rest surrounding? Please explain. You can also say up to the designer and I will use my judgement. 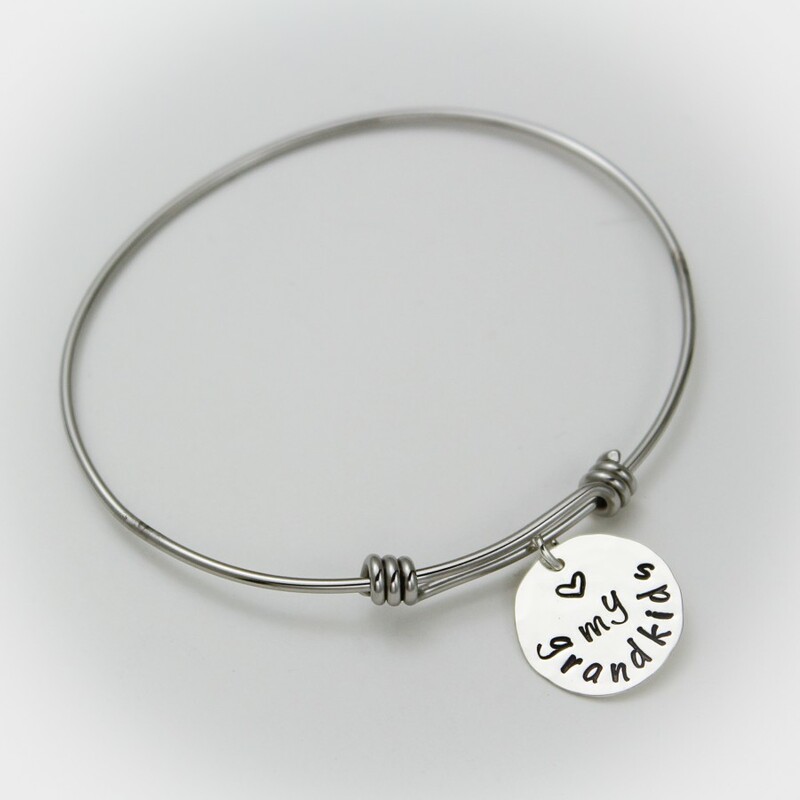 The bangles are adjustable and will fit most wrists. 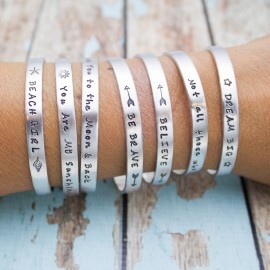 The stainless steel bangles come in three sizes. 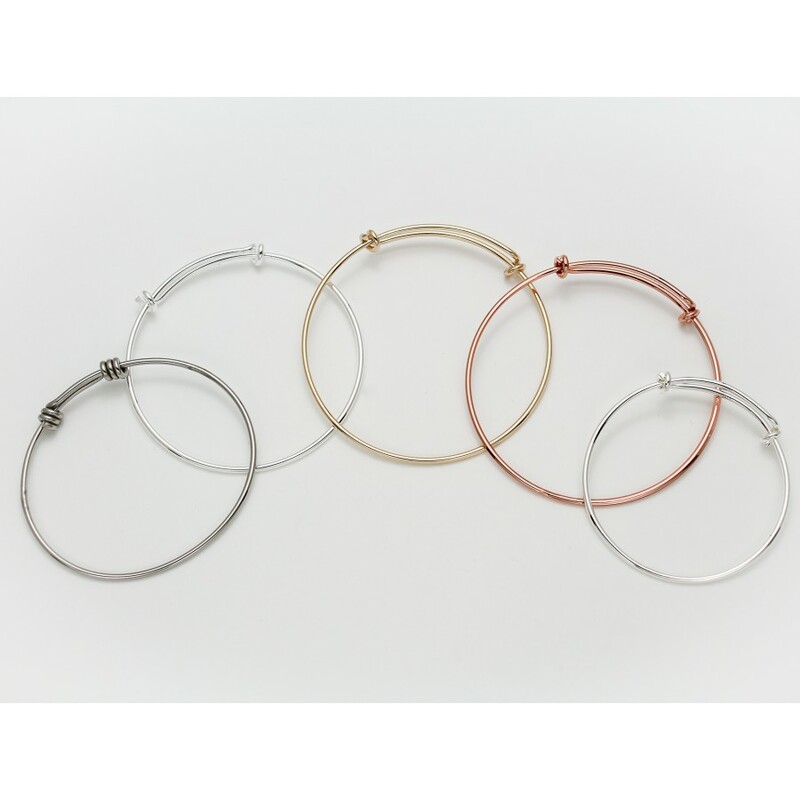 The silver, gold and rose gold plated come in one size only. The plating will wear off over time depending on care and use. Please read all about copper and brass metal in my jewelry care section before purchasing these metals.